Good News! Andrew D’Souza will be representing Canada to compete in the upcoming Commonwealth Games. He is currently studying in University of Ottawa, training in RA center. 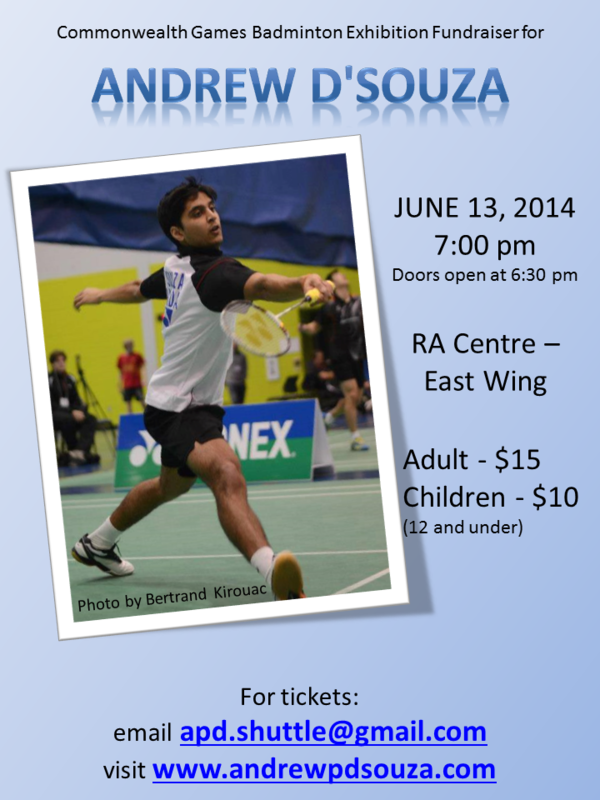 Please come out to enjoy the badminton exhibition and support a talented young player from Ottawa!